2.Lightly sprinkle the aubergine with salt and set aside for 30 minutes. Rinse and pat dry. 3.Soften the chopped onions, spring onions and garlic in half the olive oil in a large saucepan. 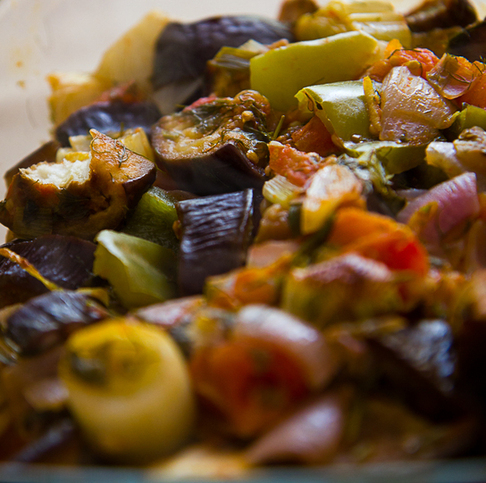 Add the aubergines, leek, green pepper, dill and half the parsley and cook for a few minutes, stirring constantly. casserole with a tight fitting lid. 5.Cook for 1 1/2 hours until the vegetables are tender. Remove the bay leaves and zest. Serve with the remaining parsley as a garnish. 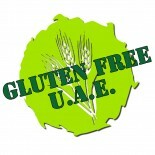 This entry was posted on 06/01/2012 by glutenfreeuae in Cooking, Recipes and tagged gluten free, glutenfree, ratatouille, stew, veggies.